Optimal ratio of BCAA´s. Offers great anabolic support both before and after physical exercise. BCAA Drive Black by Nutrex is a complex based on BCAA´s of unrivalled purity. 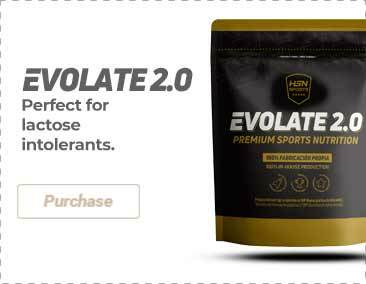 This complex delivers the amino acids L-leucine, L-isoleucine and L-valine in a perfect 2:1:1 ratio. BCAAs are the amino acids that make up one third of the total protein in the skeletal muscle. During prolonged exercise, BCAAs decompose to produce energy. This can lead to reduced levels of BCAA within the muscle and, as a result, we need to boost them. Supplementation with BCAA Drive Black before strength/power training can help to improve the synthesis of proteins and reduce to a minimum the degradation of proteins and thereby result on greater muscle gain. BCAAs play an important role in many metabolic processes. BCAAs suffer from oxidation during exercise and are an important fuel source. Studies have shown that BCAAs are the essential amino acids that stimulate the synthesis of proteins (muscle building) after intense exercise. BCAAs can play a key role to increase recovery and/or adaptations from training and workouts. BCAAs have potential benefits to increase endurance, strength/power and physical performance. Filler: Maltodextrin E459, Acidity: Dical E341ii, Emulsifier: E460i Microcrystalline cellulose, Croscarmellose sodium E466, Anti-caking agent: E570 stearic acid, magnesium stearate E572, E551 Silicon dioxide, transparent coating. Take 5 tablets with 227ml of water or your favourite drink and consume 30 minutes before training.